Do you have a bunch of Pages documents and don’t like to scroll forever to find them? What if you could create a folder to organize the documents? Using this tip, you can sort and store Pages documents into folders. First, get to the Documents screen. 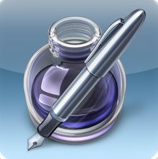 If you are editing a document in Pages, tap the Documents button on the top left to take you to a screen similar to the one seen below. 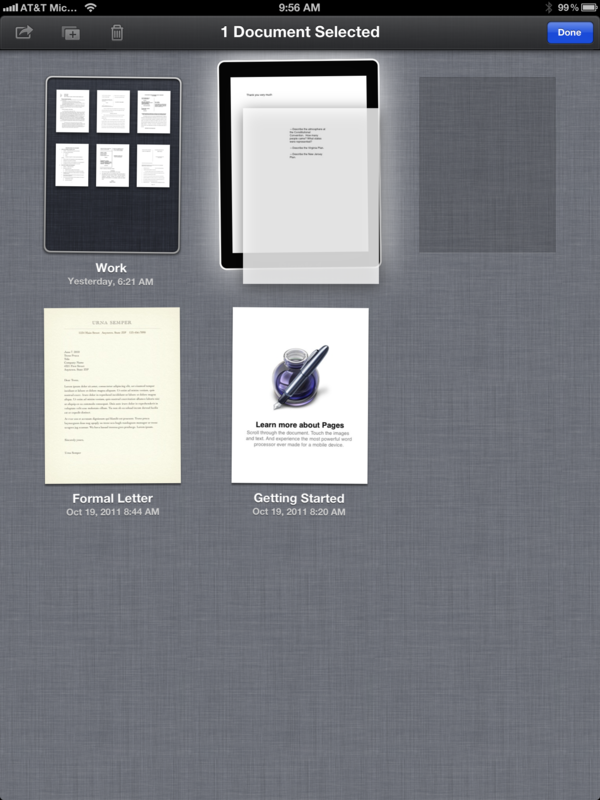 To create a folder, much like creating a folder for apps, tap and hold on a document. The various documents will then begin jiggling like what happens when you tap and hold an app to rearrange the apps on the screen. 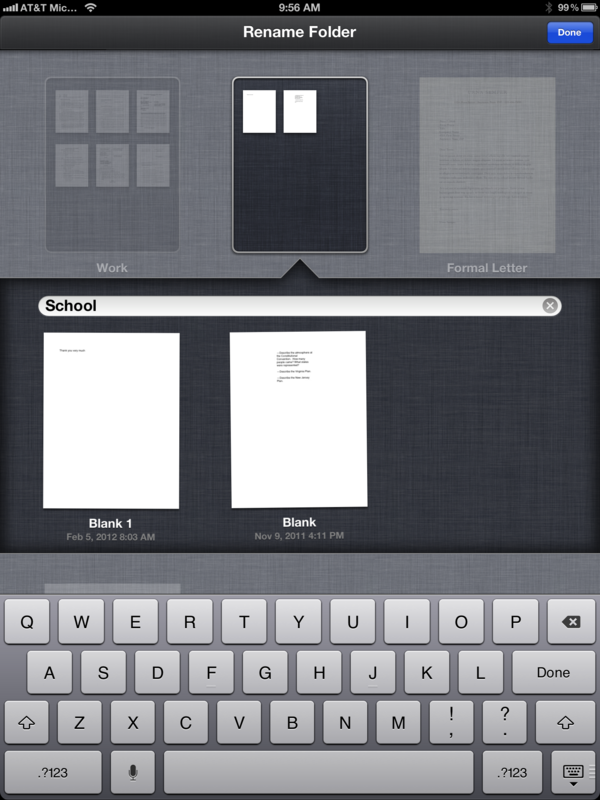 You will then be able to tap and drag a document onto another document and create and name a folder. Tap on the x and rename the folder. Tap done and voila, a folder has been created. You can then tap and hold folders to drag them into an order you like. When you type something incorrectly, a little red squiggle line should appear to indicate a potential typing error. You can double tap on the word to get suggestions. Is there a way to organize the order of thr documents with in the folders? Click at the top to choose by date or by name (alpha). Thanks for the tip. However, what if I need several extra levels of folders? I have the same problem. Pages on my iPad refuses to make oflders. Did you find the solution yet? Can one create folders within folders? When I try to drag one doc onto another within a folder, it “snaps back,” as Kati says. Thanks. Is it possible to email a folder? Not that I know of. I think you have to email the individual items. I really want to email the whole folder. Is there really no way? If you want to email a complete folder simply copy and paste the documents using the built in page separations. Use the first page (cover page) as a TABLE OF CONTENTS . Number each page to coincide with the subject page in the order you think best. Then email it like you would a single document. If you don’t want the documents to be edited or changed use the PDF format. That should work. You can send yourself one constructed in such a manner and it will let you know if it works or not. Is there a limit to how many documents you can store in a folder? I accidentally seem to have taken pages app off my iPad on my last sync with my mac, will I be able to recover the folders/ docs that were on there? If you were syncing your materials to iCloud…probably. 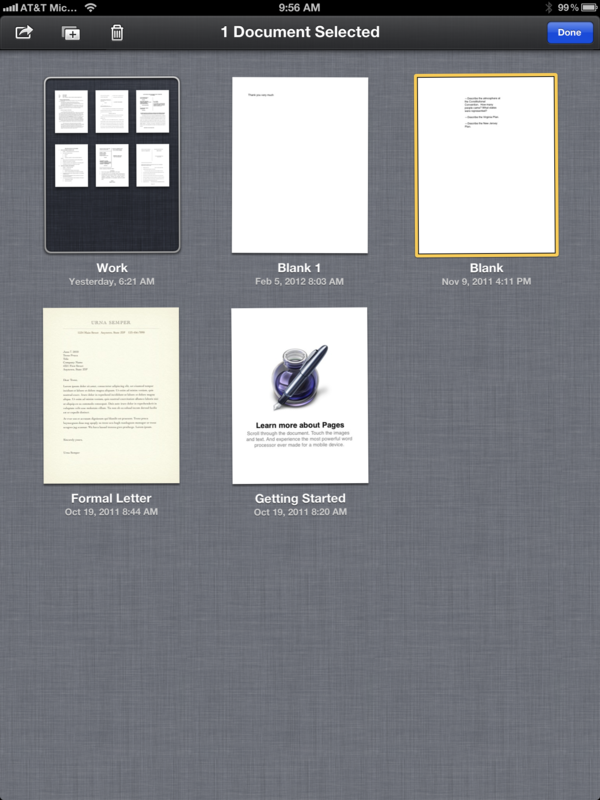 Ok, so I have created a Folder in the iCloud Documents pane. Then mover six related documents into that folder. Now, how do I place the six documents into the proper order in that folder? ?